Last week was called “Reading Week” at Queen Mary University, and there were no classes all week. 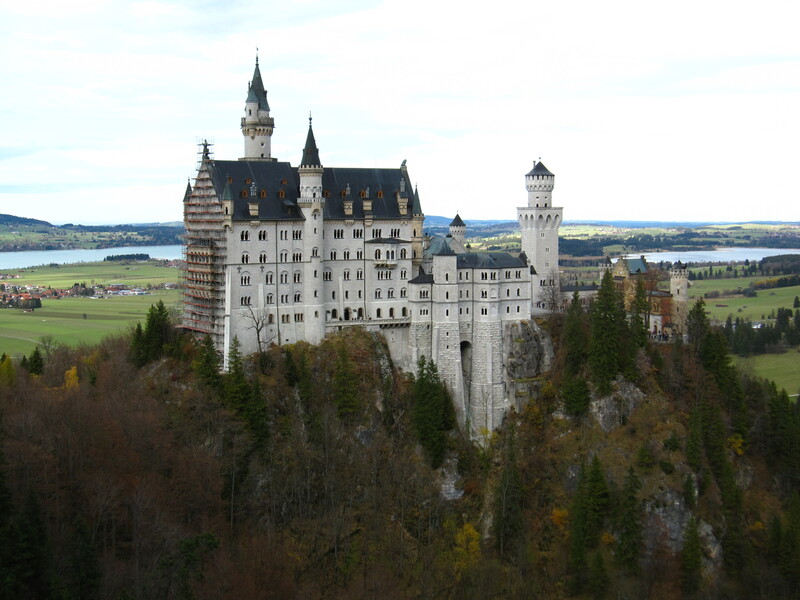 So of course, the girls and I capitalized on that situation and spent four days in Munchen, flew back to London for two days to do laundry and breath, and then took the Eurostar high-speed train and spent four days in Paris! 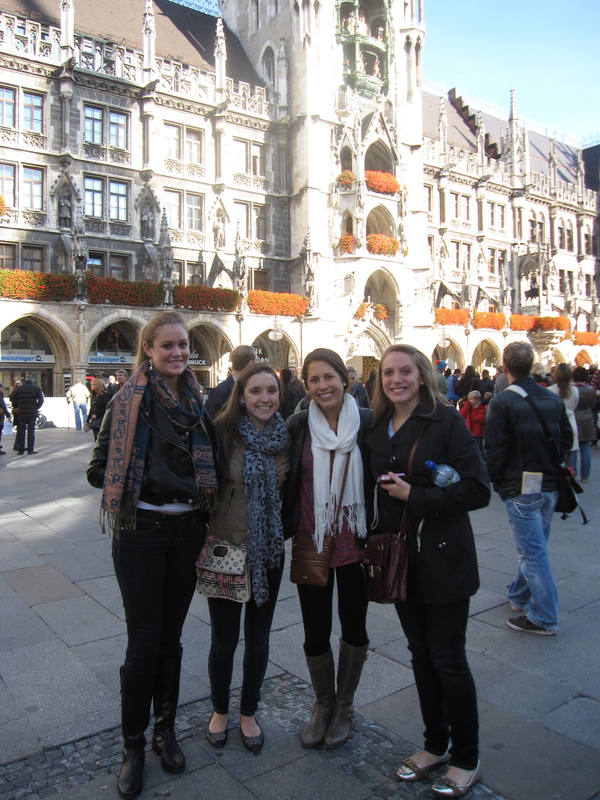 The first day in Munich we of course had to go straight to Marienplatz at the city center and see the Glockenspiel. The clock only goes off at 11 am and noon, so luckily we were there at 11 and got to see the figurines dance and hear the beautiful bells of the clock tower. We took the lift up to the top of the Glockenspiel tower and got an amazing view of the entire city of Munich. 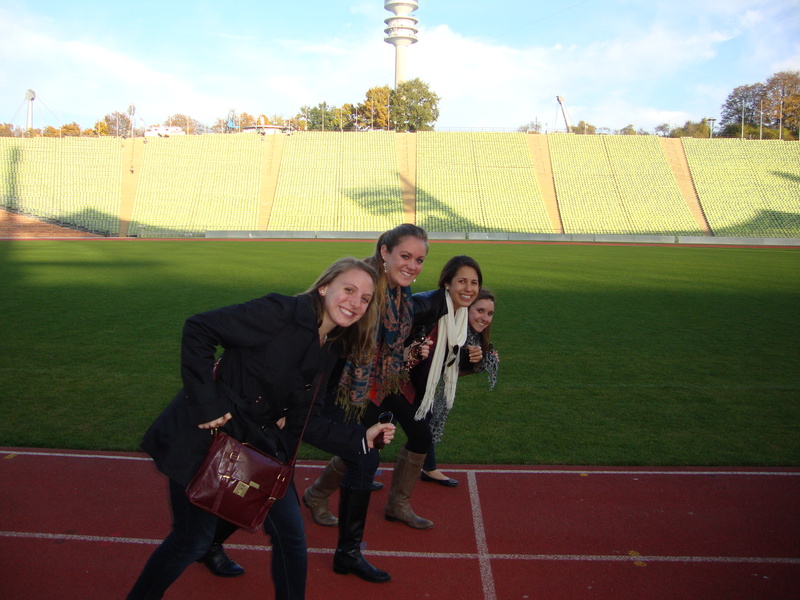 We then took the Munich underground system, called the “S-Bahn” to the 1972 Olympic Park stadium, and took the 2 hour tour. The stadium and it’s arenas were all so close to each other, 80% of all the summer events took place in the park. The design and architecture of the park was stunning, and we were lucky to be there in the fall, as walking around the grounds of the par at this time of year was gorgeous because we were able to see the changing colors of the leaves. It was really a beautiful setting, and we could see a bunch of bikers, walkers, and runners were taking advantage of the now public park. Luckily for us track stars, we went inside the track stadium, and even got to go down onto the actual track and infield! That night, we made our way to the quintessential beer hall, the Hofbräuhaus! Where we were able to see our waiters in the traditional liederhosen, serving us delicious bratwurst, sauerkraut, kartoffelsalat (potato salad) and of course…beer. It was such a fun, laid back atmosphere, with live music and long, wooden tables where we just sat ourselves down next to strangers, who weren’t strangers by the time we left. On the starting line of the 1972 Olympic track! The next afternoon, the girls and I decided it would be well worth it to visit the first even concentration camp, Dachau, which is located just outside of Munich. A lot of the original buildings have been burned and destroyed, but the original crematorium and gas chambers still stand today. It was a very sombre place, and the museum was great and was packed with a lot of information to read and videos to watch. I was glad we we spent some time learning about and visiting the historical part of this country. 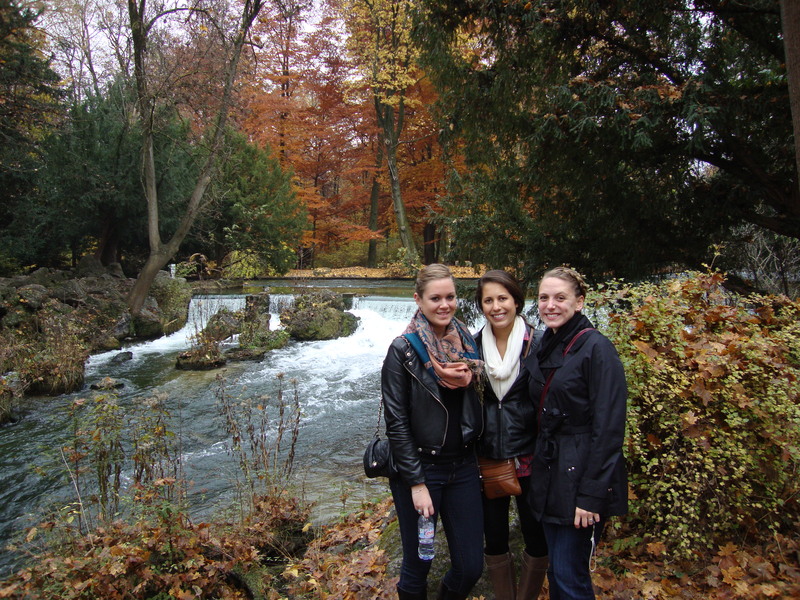 Monday was our last day in Munich and spent the day walking around the beautiful Englisher Garten, where the tree’s leaves were changing color, and Kelly, Julissa, and I walked around for two hours just enjoying each others company and the park’s atmosphere. We then spent some more time in the city’s center, visiting the old churches, Peterskirche and Theatinerkirche. Let’s just say we don’t have churches like that back home in the States. We had one last meal in the Viktualienmarkt where we got to see stands selling fresh fruits, meats, cheeses, and Holiday popery and enjoyed our last hot chocolate in Cafe Rischart in Marienplatz before it was time to come home.